"Such a fan. I've done week 1 and week 2, you've made it so easy to make lots of delicious quick meals! I love fall food, I'll eat it all year, but I hope you'll do a spring/summer seasonal week too sometime. I really feel spoiled by these, you've done all the hard work now I get to do the fun easy part thank you!! 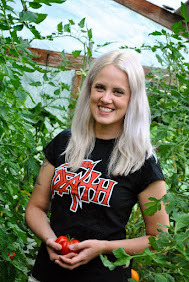 Whenever I hear someone say I could never go vegan it's not convenient or I don't know what to make, they are getting this link. Boom." A spring/summer seasonal week menu is a great idea and long overdue. So without further ado, here is a fresh new menu to make your summer even easier and breezier! :) All these recipes serve at least 4 people, are easy and quick to make (perfect for weeknights!) and taste delicious! PS! If you want to print the whole menu with a grocery shopping list, just click "Print PDF" at the bottom of this post and you can choose if you want to keep the images too or just go with a simple text file. 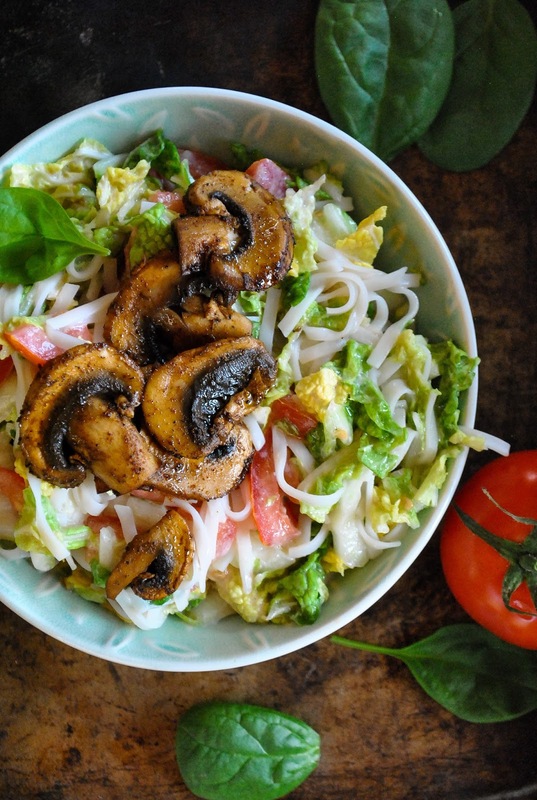 This creamy rice noodle salad with pan-fried mushrooms is my latest go-to meal. It's ready in 10 minutes and goes so well with warm weather when you don't want to sweat behind a hot stove. 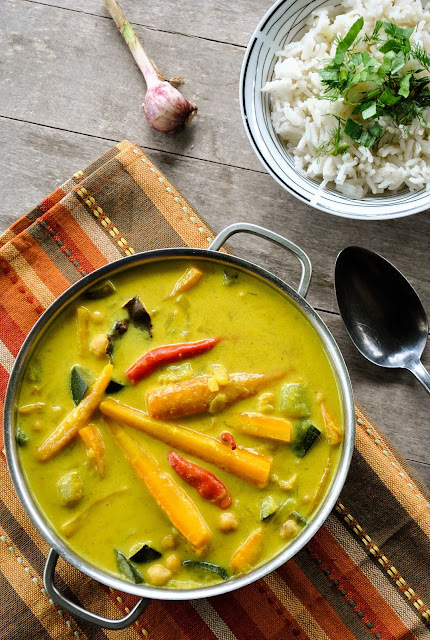 My groovy summer curry is a really versatile recipe. You can always add different seasonal veggies you have in hand and it still comes out lovely. But even the base recipe hits the spot. Hump day calls for an easy and quick soup that will fill you up. 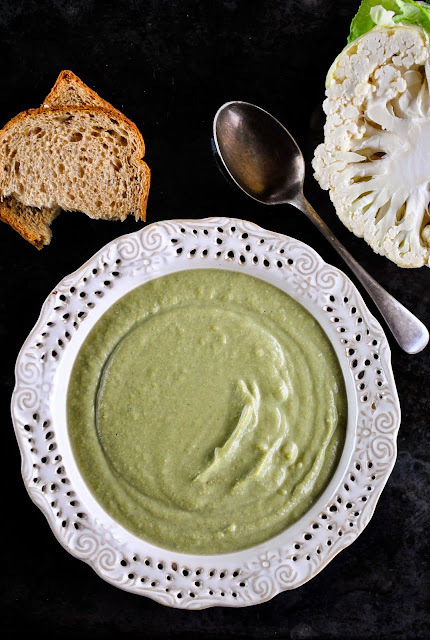 And when I say easy, I mean this easiest cream of broccoli and cauliflower soup. Throw everything into a pot, boil and blend. Done! Plus - it's oil free! 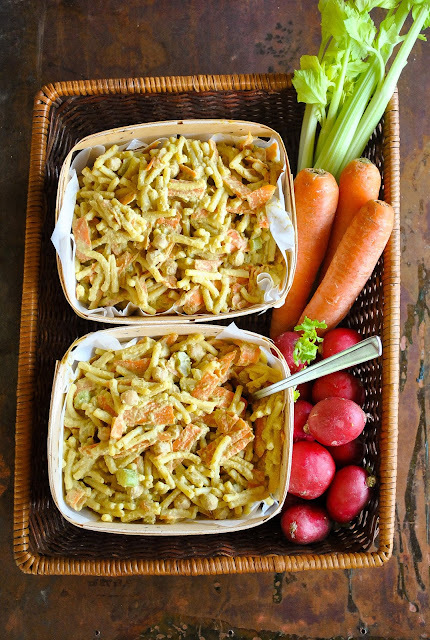 Pasta salads are one of my favorite summer foods and this creamy pasta salad with crunchy carrots and chickpeas is super easy to make. If you're not a fan of celery, replace it with something more favorable. Let's celebrate Friday with something really special. 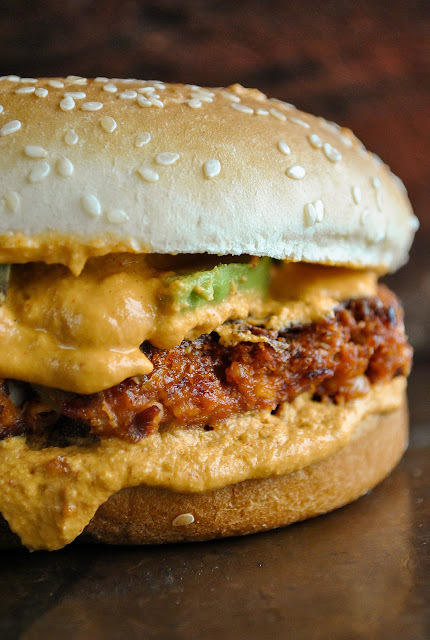 If you haven't already tried these spicy vegan Tex-Mex burgers, now is the perfect time. The patties are gluten free, filling, super tasty and spicy! Serve with your favorite burger buns. Now it's time to write down the shopping list. I only assume that you have some cooking oil and salt at your home. If not, get them too!